The remarkable collaboration between the Center for Writers & Translators at the American University of Paris and Sylph Editions continues to put out thoughtful and beautifully-produced publications. 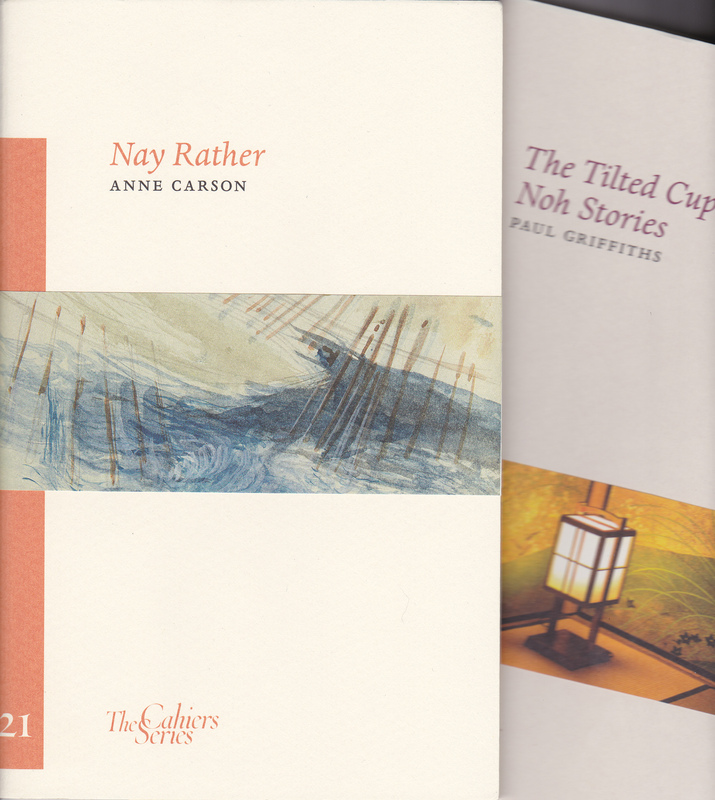 They have just released numbers 21 and 22 in their Cahiers Series, with texts by Anne Carson and Paul Griffiths. 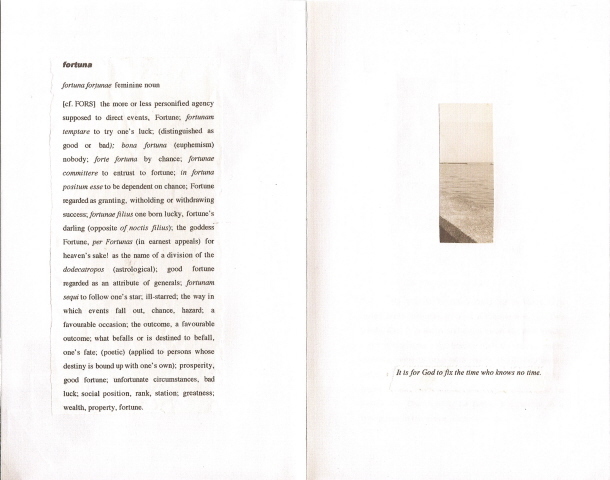 Unfolded, Anne Carson’s book length poem Nox is nearly 1000 inches long – or wide, to be exact. 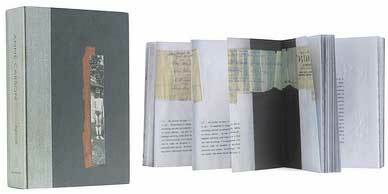 An accordion-fold book housed in a clamshell box, Nox is a single collage-like poem composed of dictionary entries, snapshots, scraps of paper, postage stamps, written memories, and other texts in which we see Carson as she copes with the death of her brother, as she tries to comprehend “the smell of nothing,” “the muteness,” and the meaning of memories scattered across a lifetime. Just as the physical book unfolds and then collapses back into itself, the unifying structure of Nox is the unfolding and collapsing of a short poem by the Roman poet Catullus. Nox opens with the poem – known as Poem 101 – in Latin. As you turn each page or further unfold the book (whichever way you choose to read Nox), you are confronted with the individual dictionary entries for every Latin word in Catullus’ poem. As the dictionary entries mount up and you realize that Carson is working toward an English translation of the poem, these entries induce a kind of literary vertigo. Each Latin word has multiple definitions that can be wildly different from each other, if not seemingly contradictory. The net effect is to make the reader reel from the endless English permutations possible from sixty-three Latin words. Poem 101 is an elegy to Catullus’ brother. Several rudimentary translations can be easily found online, but none have the powerful ambiguity and hurt of the version Carson achieves. In parallel with the unfolding of the Catullus poem, Carson examines the meager scraps that constitute her memories and communications with her brother, who lived his life largely abroad and estranged from his family. Unlike Poem 101, however, the enigma of her brother’s life seems to expand in many directions without ever coming to any resolution. While there are scores of novels that use embedded photographs, this is only the second book of poems I have run across in which photographs are used interchangeably with textual material. With a retail price of $29.95, Nox is a remarkable piece of publishing. They have produced an eerie facsimile of Carson’s rather crude home-made album. New Directions has also issued a special signed version of Nox in in edition of 100 copies.